it has been found there, that it is most likely a Dutch propeller: it has the word 'spoed' on it, which is used for 'pitch'. It also has '160 pk Gnome' written on it. 'pk' Is dutch for horsepower. This means it was most likely built by the Dutch 'Air Department' (the then-time air force) for one of the Fokker D.III's, which were ordered from germany during WWI and powered by an Oberursel U.III engine. It has a working clock in the hub, so it's not intact. You can find photographs in the link. Would it be possible for you to give an indication of its value? We would be most obliged. Can you download the photos to your computer then upload them here? I couldn't open them on that forum. The metal sheathing suggests that it is a post WW1 propeller, and it looks to me that the hub has been carved out in order to fit the clock into it. The hub alteration substantially reduces its value. I'm guessing that it would sell for something in the $500 range on ebay, but you never know. I would first remove the clock and assess the hub for alterations. Dave, many thanks for giving us an estimate. 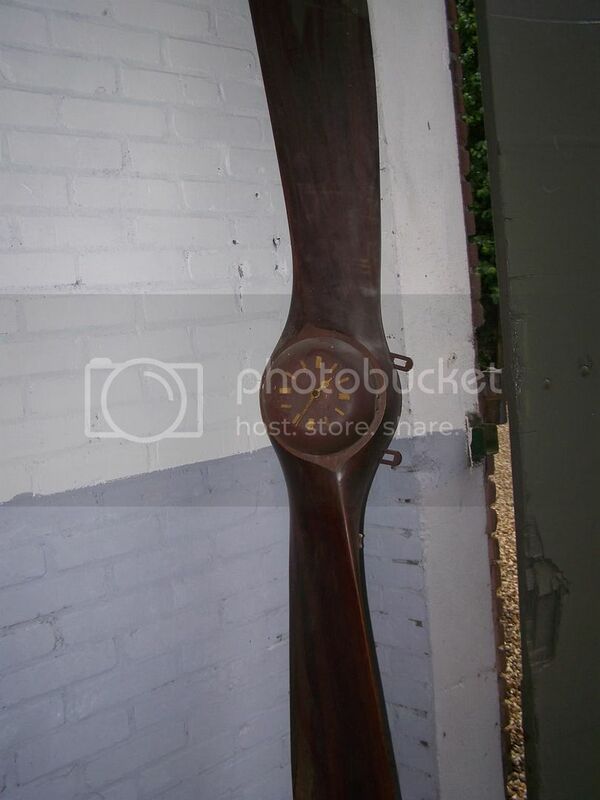 It's a shame that so many of these propellers have been damaged with clocks, really. 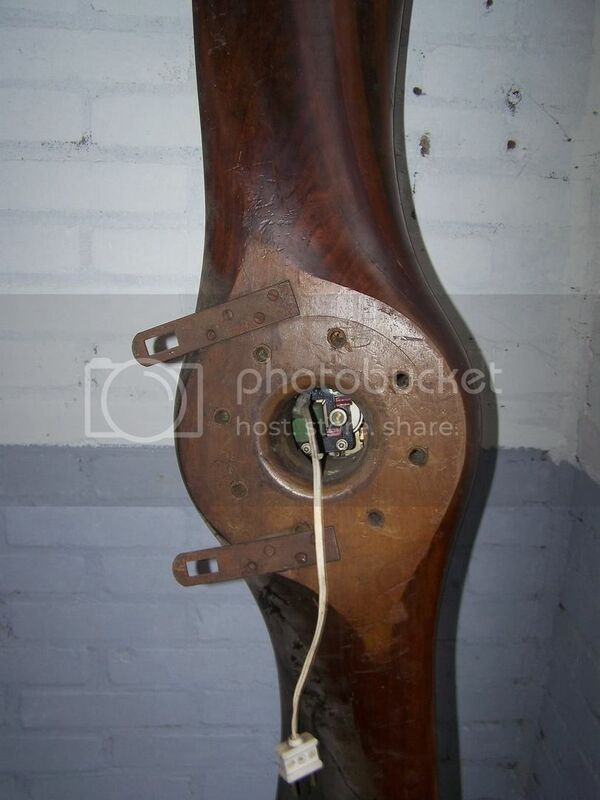 I would add that the mounting brackets on the back further adversely affect the value. 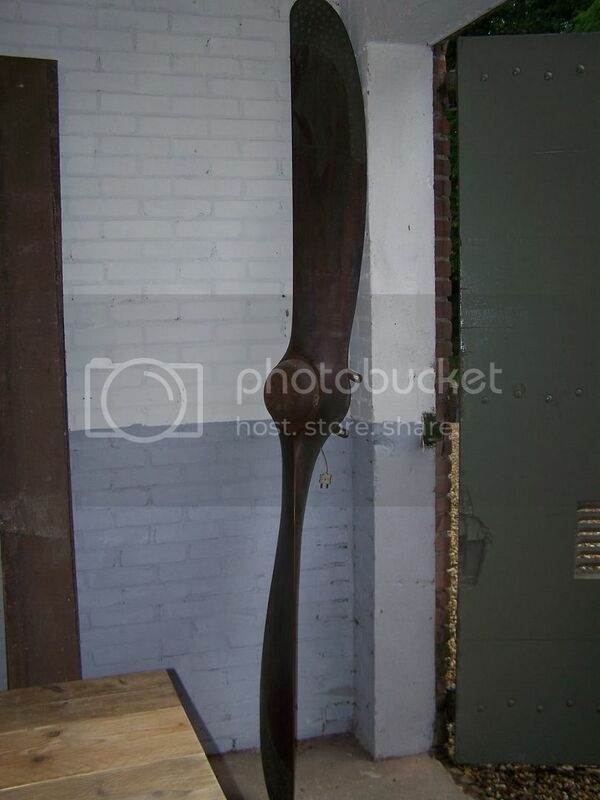 Without those, and with the clock removed, the propeller could conceivably be displayed backwards on a wall and still look nice. If this were mine, I would probably remove the brackets and do just that. 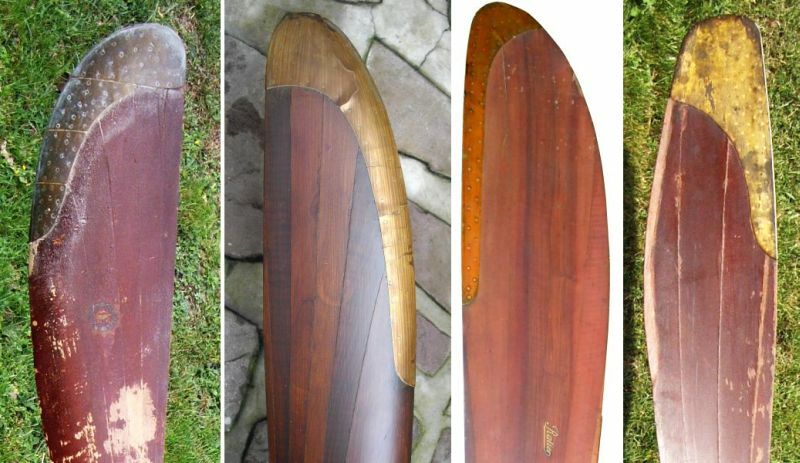 From left to right, a Chauvière (made between 1916 and 1918), a Gallia (made in 1918 or 1919), a Ratier (made in 1916) and a Régy (made between 1915 and 1917). The Chauvière shielding is made from 3 pieces and two halves, all the others made of two halves. Did you see it (kind of bird)? Or perhaps my eyes are kidding me? I'm not personally the owner of the prop, but I'll forward this, perhaps they can decipher it. Thanks! 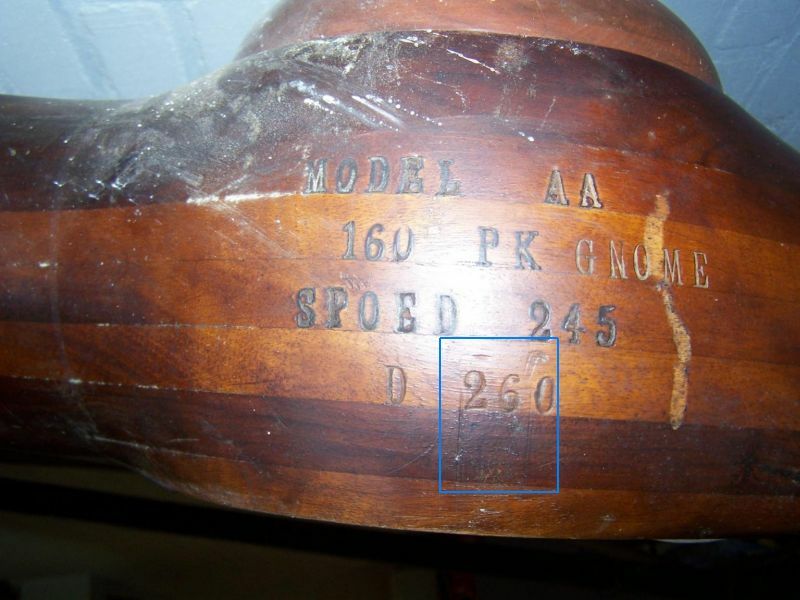 Need to examine the propellor more carefully after cleaning (just water and soap) for any additional markings or stamps. Last edited by caterham7; 06-24-2012 at 05:32 PM. No, closer examination revealed these are just two parallel scratches. But I did find a circular logo with the letters H and M vaguely visible at the top which indicates that it is indeed a Dutch propeller made by Hembrug. 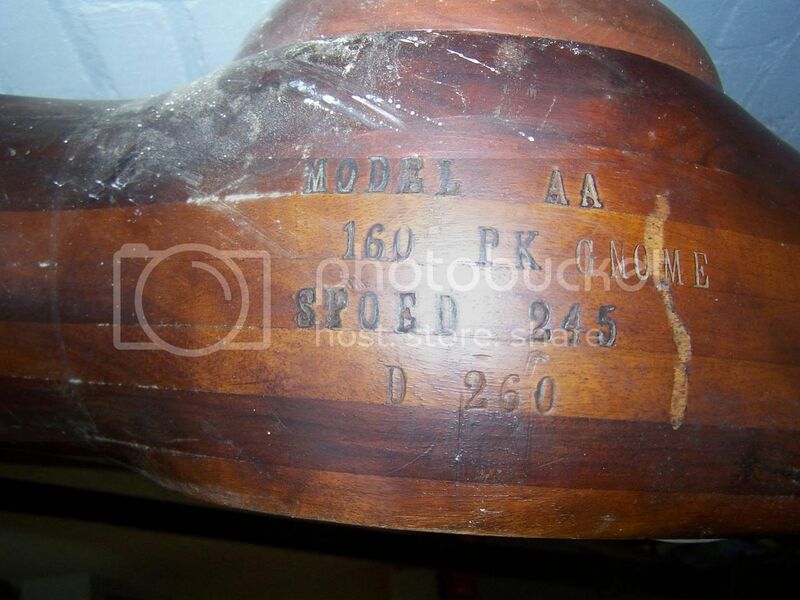 Unfortunately the date is not visible, but judging by the shape and the markings on the hub it could have been made for a Sopwith Camel that had to make a force landing at the end of WW1 in The Netherlands (neutral at the time) and damaged its propeller doing so. The search continues . .